Fall is so close, I can just about taste it! Fall is my absolute favorite time of year. The temps are absolute perfection in my opinion. The colors are gorgeous. Seeing the fall color change in the Smoky Mountains is one of the most amazing sites I have ever seen. And.... let's not forget all the amazing fall foods! It's finally cool enough to enjoy soups and chili's again. Meatloaf and mashed potatoes, can get back into the rotation. The fact that it is cool enough to get that oven going again and bake cookies, just makes me smile! Granted, I never quit baking cookies in the summer, but there is a lot of grumbling in the kitchen about the temperature. This month, the cookie bakers from "Fill the Cookie Jar" were to bake a "fall" inspired cookie. I really had to think what flavor I wanted for a fall cookie, and when I found the recipe for my Frosted Apple Oatmeal Cookies at Betty Crocker, I knew that was my "perfect" fall cookie. We love them. I will be making more of these this week, and several more batches this season. Truckin' Man loves them. Every time he grabs a cookie, he mutters "These are a problem". Pretty good review, I would say. My parents stopped over the weekend, and took a cookie for the road. I don't think my mom was out of the car yet, when she was asking for the recipe for the cookies. They are soft, moist, packed with apple flavor. I love having the oatmeal in the cookie, for the texture. If you are interested in joining Fill The Cookie Jar group on facebook, fill out the form that can be found at Fill The Cookie Jar. Each month we bake a different theme for the cookie. We bake, we share and we enjoy our cookies! Preheat oven to 375 degrees. In large bowl, beat butter, granulated sugar and brown sugar with on medium speed until creamy. Beat in vanilla and eggs, scraping sides occasionally, until blended. In medium bowl, combine flour, baking soda, cinnamon and salt. Gradually add flour mixture into sugar mixture. Mix well. Add in oats and apple. Line a cookie sheet with parchment paper. Drop dough by rounded tablespoonfuls. Bake 10 minutes or until edges are light golden brown. Cool 1 minute on cookie sheet then transfer to cooling rack. Cool completely; about 15 minutes. In medium bowl, combine powdered sugar and milk until smooth. With a spoon, drizzle frosting over cooled cookies on cooling rack (slide some parchment paper or wax paper under your cooling rack for easier clean up!). Let stand about 1 hour or until glaze is set..... If you can wait until then! I could have one of your frosted Apple Oatmeal cookies for breakfast, as a snack or for dessert. Great choice for the fall. I hope to make these soon. Oh my these look divine. 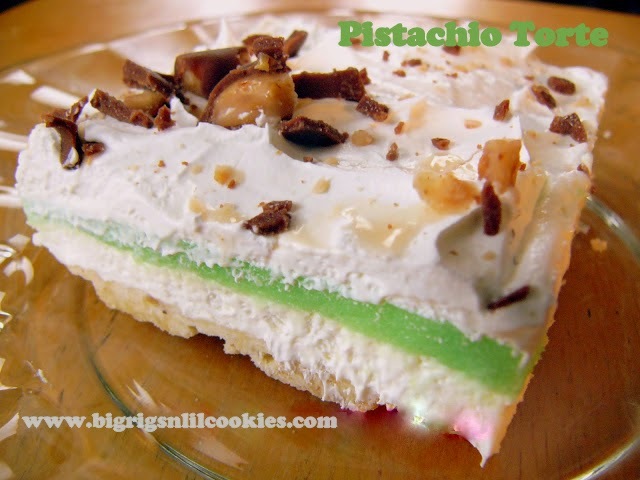 Apple is one of my favorites and then adding frosting makes them over the top! They look absolutely perfect! I would not mind having a couple of them for breakfast right now! I love apples in the fall-this is gorgeous! The looks delicious and perfect for fall! My kids would love them! These sound absolutely delicious. My favorite combination apple and oatmeal. These look like the perfect Fall cookie! Thanks for sharing! I know my little ones would love them! These look GREAT-I must adapt them to be gluten free-yum! These look so great - I'm going to make them in the morning for my mother who loves oatmeal and apples! thanks for visiting my blog! all these cookies look yummy! I haven't had one of these in years but I used to love them. Totally pinning them to make this holiday season! for me, fall is ALL about apple goodies, and these sound scrumptious! love the little glaze too--great touch! Oh these look delicious! I would love one of these with my morning coffee! Ohhh your cookies sound wonderful! It's like all the different fall flavors wrapped up in one little cookie! They look delicious! Oh my gosh!! I can almost taste these cookies......I am pinning this one for sure. Oh this is Angie over at A'lil Country Sugar. I found you at The Weekend Pot Luck. I look forward to spending my Saturday morning with Marsha at The Better Baker. So many good recipes to pin.